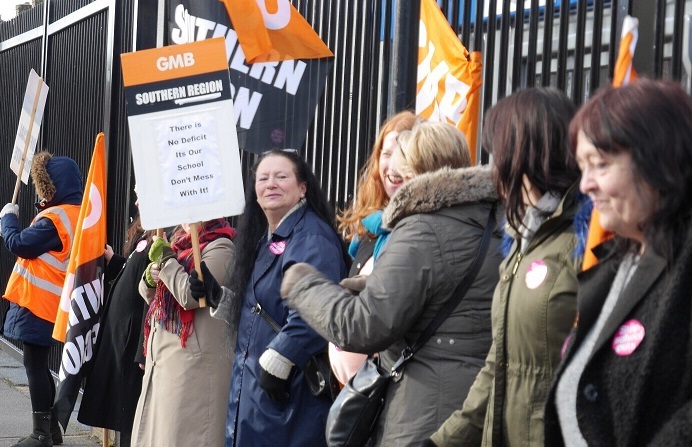 Support staff at a school went on strike last week to protest against redundancies made to their department. Protesters at the Halley Academy in Greenwich made their voices heard outside the school on April 4 as they went on strike for colleagues who had been told to leave – mostly made up of teaching assistants and learning mentors. The support staff have been in dispute with Leigh Academies Trust (LAT) – which oversees Halley Academy – and said 19 were told to take garden leave and not return after the Easter holidays. 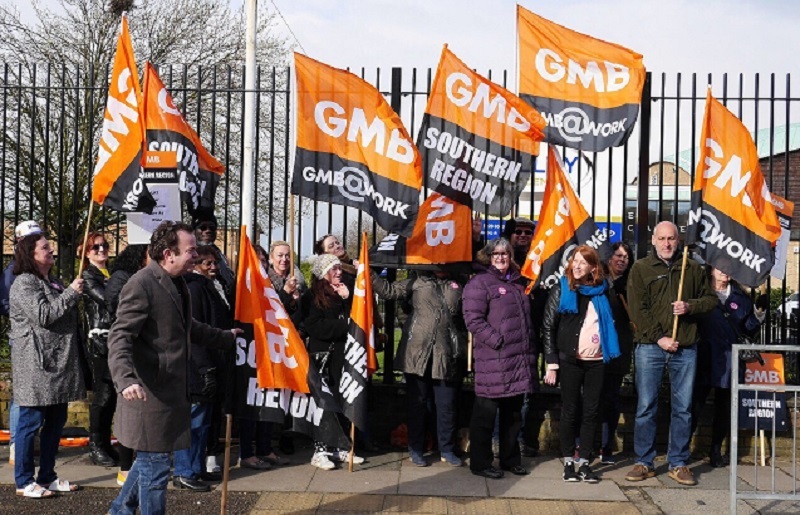 After the support staff union GMB made contact with the trust, it said the decision was altered and support staff were told they could choose whether or not they wanted to return – but the union has confirmed that 18 of the staff have been made redundant. 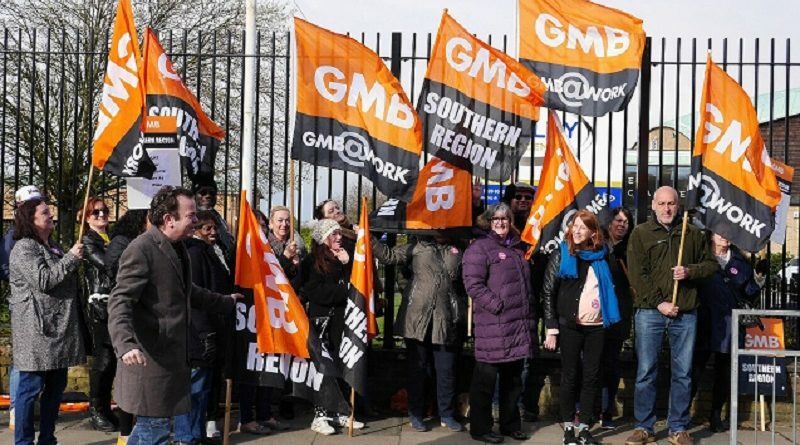 Steve Oakes, president of Greenwich GMB said: “We received distressed phone calls from our members who were in shock and disbelief that LAT could treat them with so little respect. “Many of our members look after the most vulnerable children in the school and yet LAT were suggesting they should leave this Friday and not come back with no clear plan in place to support the children who rely on this vital service. Tim Woodcock, Greenwich National Education Union district secretary, said teachers at the school were also in dispute over the cuts because they recognise the importance of the support staff. He said: “The school has claimed they have a financial imperative to reduce their projected deficit. “A significant factor in their decision was that management chose to operate a ‘small school model’ claiming that they would no longer need the 19 staff members. “Our view is that even if they want to move to that model the 19 staff will still be required as the school has significant need for them. Within the trust we believe there is enough finance to support the 19 staff members and the changes the trust want to implement. “Every child matters and has a right to a good education. According to LAT these children do not deserve extra support. LAT believes that one TA per year group is acceptable. The staff know that this cannot work. “Teachers recognise how vitally important support staff are to achieving a good education and they know their workload will increase dramatically if these cuts go ahead. We cannot stand back and let these cuts happen if we want children to succeed and flourish”. A statement from LAT said: “We can confirm that, regrettably, after a period of consultation, redundancies have now been confirmed at The Halley Academy for some support roles and one leadership position. “To ensure transparency a full financial explanation has been provided to unions and through consultation with them we have been able to reduce the number of compulsory redundancies to eight, while nine of the other staff affected have opted to take voluntary redundancy. “As a result of the consultation, we have also been able to retain one further teaching assistant as well as offer two staff that will take up alternative roles supporting pupils. “With regard to the recent offer of garden leave to those staff that have been issued with notice of redundancy, this was offered to assist staff to give them more time after the Easter break to look for alternative work.